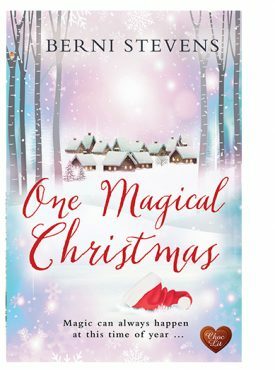 By Berni Stevens In Berni Stevens, Christmas Story, and Novellas Tagged In 2018 and October. Christmas magic doesn’t really exist – does it? When Annie Berry collides with Nik Knoll in a car park on the day of her sister’s wedding, it feels like all of Nik’s Christmases have come at once. Annie seems like just the sort of woman he’d like to get to know, and the chance nature of their encounter is almost like, well … Christmas magic. Available as an eBook and audio download from all platforms. Berni Stevens lives in a four-hundred-year-old cottage in Hertfordshire, England, with her husband, son and black cat. She trained in graphic design and has worked as a book cover designer for more than twenty years. Books and art remain her passion, and her love of the paranormal began when she first read Bram Stoker’s Dracula, aged fourteen. She is now on both the committee and the book panel of the Dracula Society, a society for fans of gothic literature and film. 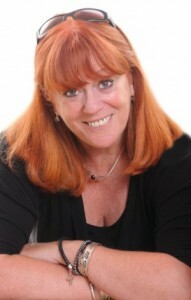 Berni has had several short stories published, and her first novel, Fledgling, – a paranormal romance – was published in the US. This is Berni’s debut novel with Choc Lit and the first in a series of three. I loved Bernie’s Christmas novella which brings together Annie and Nik. Nik clearly has a secret he is not willing to share. If he did Annie would need to believe in magic and she’s made sure he knows that’s not going to happen. He also has a nursery and animals, Annie works at a vets, so it is inevitable their paths may cross, but from the moment they do, they are clearly drawn to each other. But the strange Harry and Lucinda are determined true love won’t run smooth. Nik has tried meeting women really he has, but when he runs into Annie in the supermarket car park he’s literally bowled over, and then later at a speed dating night. But she’s feeling the same about the stranger she’s run into and when her sister is able to tell who he is, she’s not going to let the opportunity to meet him slip by. But as relationships go, this isn’t without hiccups. Who is the mysterious Harry who is always hanging about, can Nik really persuade her to take a chance on him and take her home fro Christmas. There are lovely magical elements to this book. Curl up and let the magic of Christmas transport you. Loved this …. such a lovely Christmassy read. Loved the build up …. Annie and Nik’s story starts with her knocking him off his feet (quite literally). It’s a classic girl likes guy and vice versa but even in our digital age they didn’t swap numbers. Nick runs a nursery and Annie is a veterinary assistant. The big question is who on earth is Harry .. he keeps popping up and disappearing again and where is Nick headimg off to…. it is all very odd. The other big question is .. will it be down to luck, fate or timing as to whether Annie and Nick will ever meet again…? Who knows? Not so sure – have a read to find out for yourself. But watch out for Merlin …. that one is cheeky. This was a classic curl up, read and forget about everything kind of read. It was easy to read, heart warming and very funny throughout. Just what I needed. Veterinary nurse Annie Berry literally crashes into Nikolas Knoll’s life on the day she’s attending her sister’s wedding. Nik runs a nursery and owns a small menagerie of animals. Prior to this neither of them have had much luck in the romance department and Nik’s venture into on-line dating has been to say the least, disastrous. From the moment they meet Nik is sure he’s found ‘the one’. Annie, though, still needs convincing. Why does he keep disappearing? Where does he go? Gradually she falls under the spell of his animals, an amazing collection of large and small furry people with their own quirky personalities. Add a touch of menace with the nasty Lucinda who goes to great lengths to take her revenge after being fired from the nursery and you have all the ingredients you need for a light hearted, magical Christmas story. If I had to describe this in one like I would say it’s a ‘Grown-ups Fairy tale’. This is the best Christmas romance ever. It is the first of Berni’s books I have read and won’t be the last. The heroine was so real I felt as if I was reading about a friend. Annie’s story is delightful, from her knocking over Nic to the truly magical Christmas they eventually share the romance is chocolate smooth and oh so believable. As for Nic, he is one gorgeous man, just like his father. I read this in one sitting whilst nursing a head cold, by the end of the book I had a warm glow all over. Christmas magic in black and white! Loved this story. It is the perfect Christmas read! Annie and Nik are such lovely characters but unlucky in love. Will they ever meet again never mind fall in love? And what is the mystery surrounding Nik. One of my favourite Christmas stories ever! Highly recommend it! Read over a few days before Halloween but wishing for Christmas! Delivered to my kindle by the super team at Choc-lit for an honest review as part of the Star Selector panel! Synopsis: Annie Berry is a Veterinary nurse and collides with Nik Knoll in a car park on the day of her sister’s wedding. For Nik, it seems all his Christmases have come at once, as Annie is just the sort of woman he’d like to get to know. Annie notices Nik too, and asks around to see if he really is a man she would want to get to know. Finding out he owns a children’s nursery with petting animals, Annie conspires to drop off promotional leaflets for the vets to the nursery on her day off, but has more in mind than just caring for his animals! Review: There are magical Christmas related antics threaded through this seasonal story. It is a lovely escapism novel that will have you reaching for the calendar to count how many more days we have until it is here. I liked reading about Annie and Nik, her interfering but well-meaning sister and his very able colleague Sally. Berni is good at bringing the characters of the animals to life as well as the humans, I loved the cheeky pony Merlin and Gertie the Goat. There are a clue or two as to Nik’s family business with the young Reindeer Rudy stabled at his nursery rather than the family farm! Annie and Nik have plenty going on in the story, and it bobs along at a good pace keeping your interest piqued to the revealing of the magic towards the end. A great read for the weeks up to Christmas! A glittering glowing read! Hollie bumps into Nik by chance and Nik is instantly attracted to her, however Nik has a secret, one that will keep him pretty busy at Christmas. The characters are wonderful and I warmed to them instantly. There was a villain in the story who was pretty horrible but an integral part of the story but on the whole this book is full of fun and the magic of Christmas even if it is a bit far-fetched and a little predictable. If you want a lovely Christmas novella to keep the magic of Christmas alive then this is for you. Thanks to Choc-Lit for providing me with a review copy of this book in return for an honest review which is completely my own opinion. Real life meets a sprinkle of festive magic – whats not to like! Annie and Nik were destined to be together after a chance encounter, the attraction is immediate and the story unfolds around the Childrens Nursery that Nik owns and his menagery of misfit animals. The secret about Nik is predictable but that adds to the magic along with his meddling ‘friend’. A really enjoyable magical journey, a novella not to be missed. It’s a cracker!! I loved this story and finished it in one sitting – couldn’t put it down. It was a winner for me right from the start. The heroine is Holly Berry, AKA Annie, a vet’s assistant, who meets Nik, a nursery school owner, by chance and the chemistry clicks in. However, Nik has a secret – his family is unusual to say the least, and December is VERY busy. It’s a good job Annie loves Christmas then – it’s about to get a whole lot more important! I can highly recommend this lovely read. Holly Berry loves everything about Christmas, the lights, the decorations, the anticipation and Santa Claus isn’t just for the children. The closer it gets to Christmas the more Holly’s new love interest Nik Knoll keeps disappearing, what is he doing, has he found someone else? The clues are all there but will she believe his explanation? A delightful lighthearted read. This was such a fun story. It was full of little jokes and I liked the way people behaved. Of course, there has to be a villain sometimes, even in the most beautiful love story and this added a bit of suspense as well. What is Christmas without magic? It will not surprise you then that the author has inserted plenty. Although it was clear where the story was headed, I still was under its spell. A lovely novella to receive or give as a gift to be put under the Christmas tree. 5 stars. Thank you, Berni Stevens and Choc Lit.